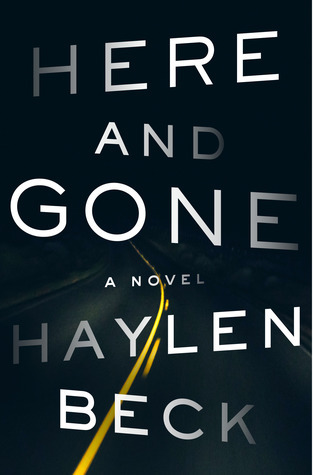 Here and Gone is a gripping, wonderfully tense suspense thriller about a mother's desperate fight to recover her stolen children from corrupt authorities.. It begins with a woman fleeing through Arizona with her kids in tow, trying to escape an abusive marriage. When she's pulled over by an unsettling local sheriff, things soon go awry and she is taken into custody. Only when she gets to the station, her kids are gone. And then the cops start saying they never saw any kids with her, that if they're gone then she must have done something with them... Meanwhile, halfway across the country a man hears the frenzied news reports about the missing kids, which are eerily similar to events in his own past. As the clock ticks down on the search for the lost children, he too is drawn into the desperate fight for their return. Cassandra's Review- What a good book for anyone who likes the suspense and twist stories. I really enjoyed this one and think that most of the events have probably actually happened in the world. I personally connected with some of the plot and thought that the author spared no description or detail in his work. I need to add that this is not family friendly in any way and children should not be allowed to read it. It is laden with cursing, drugs and violence. Adults that are not comfortable with books that are not faith based should not read this as it does have a straight vulgar side.